US Navy Captain Chris Cassidy, once described as “Chuck Norris, minus the restrictions of gravity”, has become the new Chief of the Astronaut Office. Capt. Cassidy amassed 182 days in space, conducted six EVAs and flew on both Shuttle Endeavour and the Russian Soyuz – the latter transporting him during his a long-duration ISS mission during Expedition 35/36. Capt. Cassidy is an all-American hero of the highest order, serving his country both on the battlefield and in space. Born January 4, 1970, in Salem, Massachusetts (but considers York, Maine, to be his hometown) Capt. 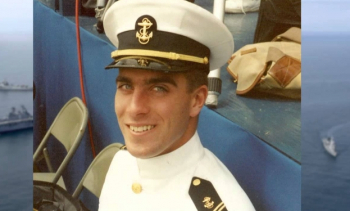 Cassidy earned a Bachelor of Science in mathematics from the US Naval Academy in 1993 and a Master of Science in ocean engineering from the Massachusetts Institute of Technology in 2000. Capt. Cassidy completed four six-month deployments, including two tours of Afghanistan, during his ten years as a member of the US Navy SEALs team. He was awarded the Bronze Star with combat ‘V’ and Presidential Unit Citation for leading a nine-day operation at the Zharwar Kili cave complex – an operation that was classed as a national priority objective directly on the Afghanistan/Pakistan border. He was also awarded a second Bronze Star for combat leadership service in Afghanistan, 2004. Capt. 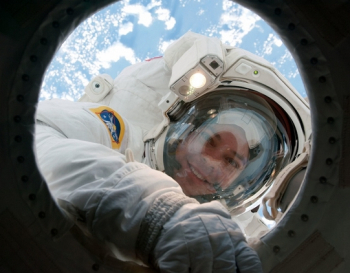 Cassidy was selected as an astronaut by NASA in May 2004 before completing his Astronaut Candidate Training. Two years later he served as Capsule Communicator (CAPCOM) in the Mission Control Center at the Johnson Space Center. He was assigned to his first space flight as a Mission Specialist on Endeavour’s STS-127 mission to the International Space Station (ISS). The mission was finally launched after a troublesome flow that included the annoying Ground Umbilical Carrier Plate (GUCP) issues on the External Tank. Once those issues were resolved – along with a couple of weather delays – the ISS assembly mission ran from July 15, 2009 through July 31 – and delivered the Japanese-built Exposed Facility (JEM-EF) and the Experiment Logistics Module Exposed Section (ELM-ES) to the orbital outpost, completing the construction of the KIBO Japanese Experiment Module. During the course of the mission, Capt. 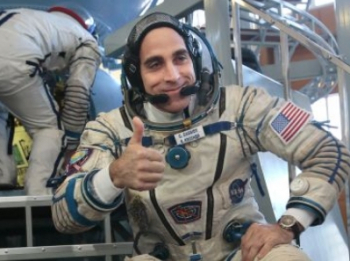 Cassidy became the 500th person to fly into space. 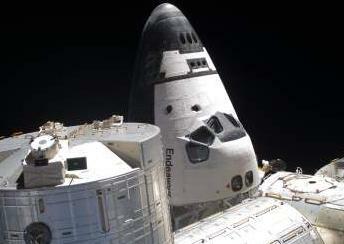 His mission also saw a record 13 people working on the ISS during Endeavour’s docked mission. STS-127 marked the last time that five EVAs were carried out on a Space Shuttle mission, with Capt. Cassidy conducting three of them, totalling 18 hours and five minutes. During the mission, Capt. Cassidy’s reputation had clearly preceded him, as an internal “flight rule” document was sent up to the ISS from the Orbit 1 and Orbit 2 Flight Control Room team. It wasn’t unusual to see humor being employed between the ground team and the astronauts during shuttle missions – as seen on numerous occasions in the daily “Executive Package” documentation. However, Capt. Cassidy received special treatment for his mission. 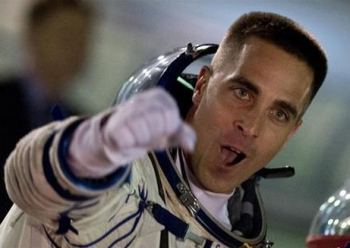 Cited as Flight Rule 2J/A_B30-1 “Chris ‘Most Awesome Astronaut’ Cassidy”, the document (L2) claimed Capt. Cassidy could solve most issues faced by the Station, ranging from the use of his “dazzling smile” as an alternative light source in the event of an electrical failure, through to ground testing confirming “his thundering roar” was more powerful than the S-Band communication. A failure of the KU-band (video) would result in Capt. Cassidy being provided with a pencil and paper “to accurately record everything, as he sees at 400 frames per second.” Attitude control back-up would be provided by “Cassidy on an exercise bike” while he could also provide an alternative MMOD shield “by forcefully scowling” at the space debris. Captain Cassidy would return to the Station in 2013, flying with Russian cosmonauts Pavel Vinogradov and Alexander Misurkin on Soyuz TMA-08M (US designation of 34S). This was the first Soyuz to utilize the six hour fast rendezvous profile. Arriving at the Station marked the start of Capt. Cassidy’s Expedition 35/36 tour that lasted from March 28, 2013 through September 11, 2013 – which saw the arrival of arrival of the European ATV-4 cargo spacecraft, the Japanese HTV-4 cargo spacecraft and two Russian Progress resupply spacecraft. 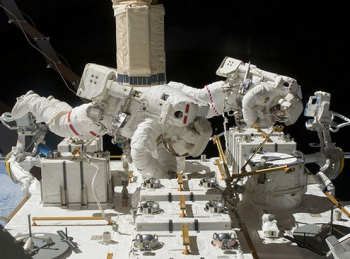 On May 11, 2013, Cassidy and Thomas Marshburn performed an unplanned spacewalk. The spacewalkers ventured outside of the Quest Airlock in search of the source of an ammonia leak. The duo investigated the cooling loop of power channel 2B on the P6 Truss of the Station and installed a new Pump Flow Control Subassembly (PFCS). This work was deemed to be a success. On July 9, 2013, Capt. Cassidy Cassidy and ESA’s Luca Parmitano completed EVA-22 – laying the foundations for the arrival of the Russian Multipurpose Laboratory Module (MLM). Part of their EVA tasks included combining forces to remove two Radiator Grapple Bars (RGBs) that had arrived on the CRS-2/SpX-2 Dragon, allowing them to install one on the port side truss and the other on the starboard side. 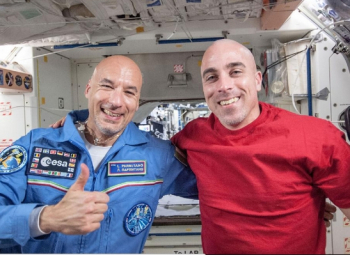 The duo returned to spacewalk action a week later. However, once Cassidy had completed the Z1 Y-bypass jumper task, and Parmitano had completed the FGB PDGF 1553 cable task and was deep into the MLM Ethernet cable task, Parmitano reported a rising amount of water in his helmet, from an unknown source. The significant quantity of water quickly became a concern as it was entering Parmitano’s eyes, nose, and mouth, and as such ISS flight controllers made the decision to terminate the EVA early. Capt. Cassidy calmly assisted Parmitano – who by this time was struggling to see – back to Quest, resulting in a safe conclusion to the terminated EVA. EVA-23 was to be Capt. 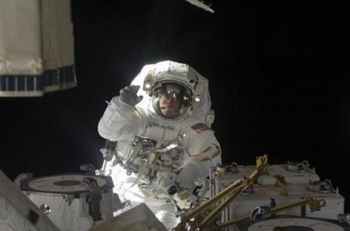 Cassidy’s final EVA, resulting in a total of six spacewalks, with a duration of 31 hours, 14 minutes. Previously in charge of the Extravehicular Activity (EVA) branch within the Astronaut Office, Capt. Cassidy then became the Deputy Chief of the Astronaut Office. He now replaces Air Force Col. Robert Behnken, who has held the top position since August 2012 and is also a veteran spacewalker. “Bob has provided outstanding leadership of our astronaut corps during the last three years,” noted NASA’s Director of Flight Operations Brian Kelly in a NASA release issued for the change of command. Col. Behnken was, on Thursday, selected as one of four veteran astronauts that will train to fly on Commercial Crew vehicles. He is joined by Sunita Williams, Eric Boe and Douglas Hurley. In his new role, Capt. Cassidy will be responsible for managing Astronaut Office resources, operations and safety programs. He also will help develop astronaut flight crew operation concepts and crew assignments for future spaceflight missions. “The Navy has a long history working with NASA and supporting astronauts – during the earliest U.S. space flights, Frogmen helped return astronauts from a splashdown at sea,” Kelly added. 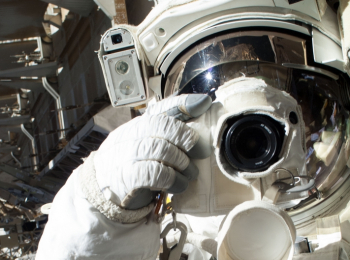 “Now, we are proud to have a Frogman leading the Astronaut Office.